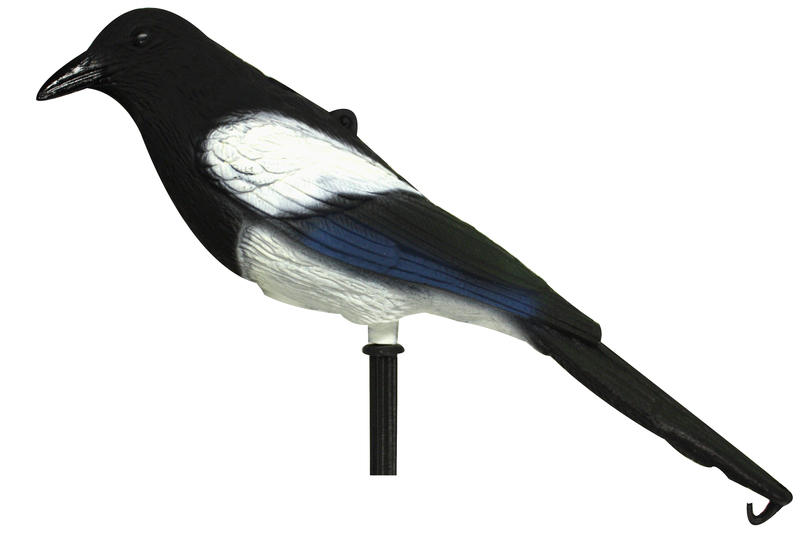 Wighill Park Guns | Products | Larson Crow and Magpie Trap. This trap comes with three compartments. The central and largest compartment is where the decoy bird is placed. 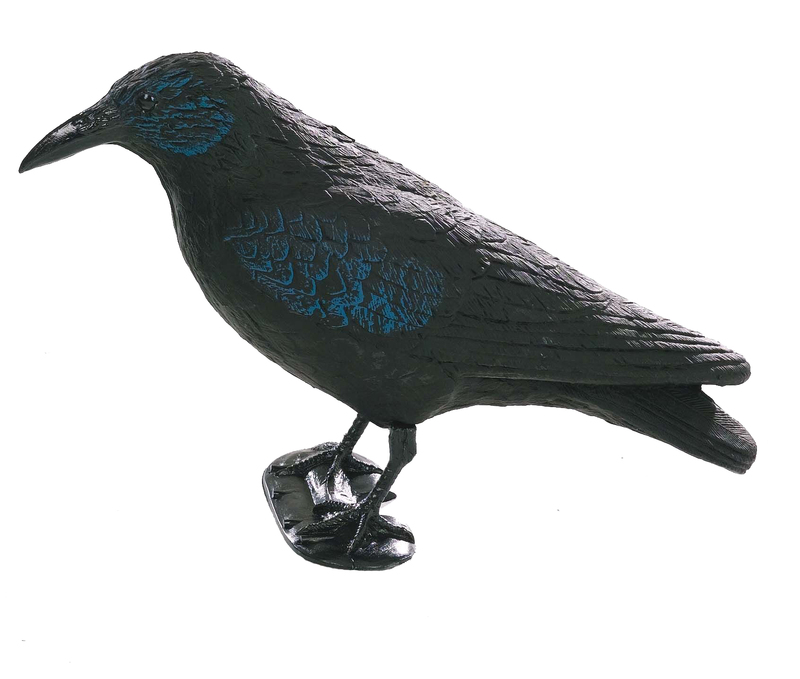 The decoy compartment is 30″ long x 18″ tall x 15″ wide. The other two compartments have spring loaded doors which are held open by split perches. When the decoy attracts the predators they drop on to the split perch which gives way under their weight and the door is sprung closed entrapping the bird in the trap. 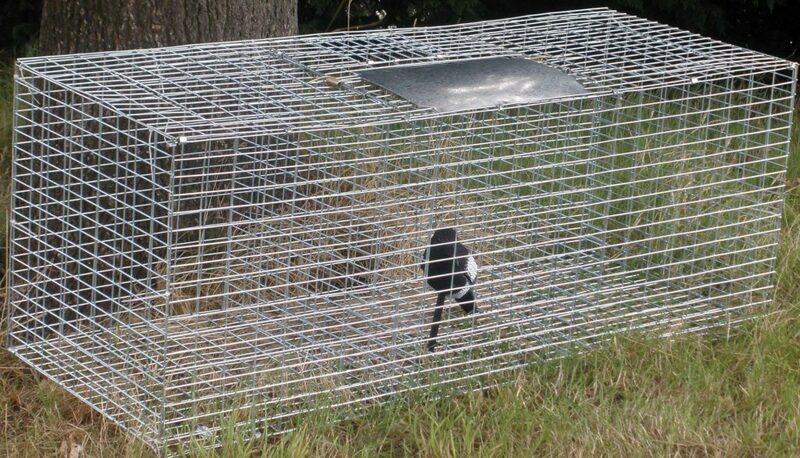 The traps can be baited with eggs placed on top or inside the compartments, although in the case of magpies it is the presence of an intruder which attracts them, i.e. The decoy bird. Always place food and water in the two compartments to house the captured birds so they are comfortable until you check the cage. The legal position as explained by the Game & Wildlife Conservation Trust. 1. Check your trap every day (at intervals of no more than 24 hours). 2. Provide adequate food, water at all times, appropriate shelter and a suitable perch. 3. Only the following seven species can be used as decoys: crow, magpie, rook, jackdaw, jay, ring-necked and monk parakeets. 4. Any non-target captures that are fit for release should be let go as soon as they are discovered and as close as possible to the point of capture. 5. Remove the decoy, food and water if the trap is not in use. 6. Make sure that the trap is rendered incapable of holding or catching birds ‘when in the open and not in use’. The Game a & Wildlife Conservation Trust.